They say it ain’t over until the fat lady sings. Well, she’s clearing her throat. So you wonder how Wells Fargo manages two positive quarters in a row during the greatest credit crisis of all time? It’s easy. They have a ready-made buyer for any crap they want to sell at any price. Don’t believe it? This borrower couldn’t pay and thus stopped doing so. This should generate a “NOD” (Notice of Default) and ultimately lead to foreclosure, right? It should result in an impaired asset which might be sold to some other company (at a discount), right? But look at who it got sold to….. The party is over for at least one ex-Wells Fargo senior vice president, at least for now. Wells Fargo & Co has fired a senior vice president after investigating reports she held lavish parties at a foreclosed beachfront Malibu house owned by the bank. The fourth-largest U.S. bank said in a statement on Monday that it had terminated one employee, senior vice president Cheronda Guyton, who it found had violated its policies. The policy she violated was the one that said don’t get caught. Do you think the bank would have fired her otherwise? No? I didn’t think so. It’s “dog eat dog” and “to the victors go the spoils” as the winners at Wells Fargo party in the forclosed homes of Madoff’s victims. Bernard L. Madoff’s massive fraud stunned some of the wealthy denizens of Malibu Colony, especially when a couple devastated by the scheme surrendered their oceanfront home to Wells Fargo Bank. But some neighbors say the real shocker came when they saw one of the bank’s top executives spending weekends in the $12-million beach house and hosting eye-catching parties there. What’s more, Wells Fargo spurned offers to show the property to prospective buyers, a real estate agent said. So Wells Fargo, a bank demed too important to the world wide financial infrastructure to fail, goes on with business as usual. They play, you pay. Wells Fargo is feeling the blow back of angry borrowers in Los Angles County where the bank has been accused of discriminating against minorities. A class action lawsuit has been brought against Wells Fargo and the suit will stand as such. A lawsuit filed on behalf of minority mortgagors against Wells Fargo ( will proceed as a class action case after a Los Angeles Superior Court judge certified it as such. The suit alleges Wells Fargo discriminated against as many as 10,000 borrowers in minority communities by charging more for loans than borrowers paid in other parts of Los Angeles County. While Wells Fargo branches in some parts of the county were given access to a software product that allowed loan officers to provide discounts to customers, that same software, and in turn, the discounts, was not available to branches located in minority communities, according to a statement from the office of the law firm representing the class. Wells Fargo reportedly passed the FED’s stress test to see if it was adequately capitalized, but regulators said it needed another $13.7 billion to be adequately capitalized. You have to wonder what kind of test it was when all 19 insolvent banks passed it, some even needing more capital. But that’s the official word. So, if you pay no attention to the $13.7B, Wells Fargo passes its stress test. Wells Fargo laid a $2.5 billion egg in fourth quarter 2008, but the bank would have had $11.2 billion more worth of yolk in its face if it included the Wachovia offer they couldn’t refuse. But the bank did record a huge write-down of Wachovia’s rotten eggs in December. Better sooner than later! Write-downs for the quarter break down as $37.2B related to Wachovia’s balance on December 31, $473M in other-than-temporary-impairment charges, $413M in write-downs on mortgages and $294M ripped off by Madoff. The bailout of Wachovia was disguised as a buyout by Wells Fargo, but that little scam has blowback for the rest of the financial world and offers a new business model/MO for future scams. Well, former Treasury Undersecretary and Goldman Sachs alum Robert Steel certainly has proved his worth. By getting Wells Fargo to buy worthless Wachovia at a premium to Citigroup’s offer, Steel completed his mission, to use his connections and government influence to bring Wachovia a bailout disguised as a buyout. Wells Fargo booked a $1 billion increase in non-performing loans in the third quarter compared to the previous quarter, then cut its loan-loss reserve by $500 million. Magic? Yup, the magic of accounting rules (made to be bent, if not broken, apparently)! Just like a petulant school girl changing boyfriends every weekend, Wachovia is now pushing Citi out and welcoming Wells Fargo as the new honey du jour. In a first quarter 2008 reporting redux, Wells Fargo came out with all their guns smoking so badly that investors could hardly see a thing. Now they beat estimates again, and if you listen and sniff just long enough, I’ll bet all that sh!t will start to smell like a rose. So far we have Q2 current data for 2.-4., but surprisingly cannot find the exact write-downs number for the quarter. Post script :see 1. no writedowns for the 2nd quarter, see 1.
instruments (4% of total assets) were measured using model-based techniques, or Level 3 measurements. Substantially all of our financial assets valued using Level 3 measurements consisted of MSRs or investments in asset-backed securities collateralized by auto leases. In first quarter 2008, $1.1 billion of mortgages held for sale were transferred into Level 3 from Level 2 due to reduced levels of market liquidity for certain residential mortgage loans. Approximately 1% of total liabilities ($6.2 billion) at March 31, 2008, and 0.5% ($2.6 billion) at December 31, 2007, consisted of financial instruments recorded at fair value on a recurring basis. Liabilities valued using Level 3 measurements were $408 million at March 31, 2008. Reggie Middleton has put out a good analysis of Wells, with a price target of about $16 — roughly 38% below the current price. A great in-depth read extending and adding to our points below. Net charge-offs, the cost of bad loans that won’t be fully repaid, jumped to $1.53 billion from $1.21 billion in the fourth quarter. Charge-offs for consumer loans, which include credit cards, home-equity lending and automobile financing, rose 26 percent to $1.21 billion. It is the $1.5B in write-offs that we write down, to bring the bank’s running total from $1.4B to $2.9B. To be considered a “well-capitalized bank” by U.S. regulators, an institution can’t have more than 10 times its capital in risk-weighted assets. More than 99 percent of American banks qualify as well capitalized. But bond downgrades are going to throw a monkey wrench into that machine and threaten to bring it to a grinding halt. Several (very vocal) bullish opinions on Wells have surfaced in the past week. Most notably, Barron’s expects at least 15% upside from here (about $30 today), and Buffett has apparently increased Berkshire Hathaway’s stake to 9.4%. These calls all appear to be based on the dubious thesis that Wells has “escaped the subprime mess.” While that might be technically true (so far), we find it to be of little comfort given that it is now beyond painfully obvious that the problems in the mortgage market and credit markets extend far beyond subprime. As we covered in our earlier analysis (below), Wells sits on vast holdings (about $141B) of questionable sorts of loans, including $24B or so of subprime, second-lien and Alt-A loans. Approximately 1/3 of its overall exposure is in California. Indeed, Wells has only taken a $1.4B write-down on a $12B sub-portfolio of third-party second-lien loans. There may be billions more in write-downs lurking in that pile alone. Some of us here at BankImplode.com are short Wells, and we can’t figure how these bullish calls are anything more than self-delusion. If this indeed produces a rally (as any actual or rumored move of Buffett tends to do), we suspect it will be of the “sucker’s” variety. Wells (and its proponents) seem to be gambling that much of the mortgage market collapse is due to exotic financial vehicles, rather than to a genuine decline in ability-to-pay. Thus, the logic would presumably go, if Wells holds most of its exposure in its own long-term investment portfolio, it won’t be impacted by faltering intermediaries and a collapsing secondary market, and the crisis will blow over. But the root problem is in inability to pay; Wells’ delinquencies are rising along with everyone else’s, and mortgage securities are therefore unlikely to ever come back all the way in value. Ever. So they can run, but they can’t hide. The result (we predict) will be write-downs and earnings disappointments for years to come. Wells Fargo, the fifth-largest US bank by assets, and the second-largest mortgage lender, has begun to feel the heat of the economic slowdown and the credit crunch in the fourth quarter 2007. As of yet, it has taken (we think) only a $1.4B charge against a special liquidation portfolio (see below for details). But most of the impact to date has been in general charge-offs and increases in loan loss reserves (which have tripled). Despite these issues, the bank still returned a profit in the latest quarter (though it fell sharply; by 38%). Wells Fargo has $141 billion in residential real-estate loans, with about a third of that located in California, Friedman wrote in a note to clients. The firm cited a report from Downey Financial which suggested that its non-performing assets rose 150% during the fourth quarter, and 35% in December, when compared with November. “We believe that Wells Fargo is not immune to industry weakness,” FBR wrote. We don’t think they’re immune either, especially when major projections are now putting price declines in California in the 30-50% range. Further, the bank retains approximately $24B in subprime loans, according to late-2007 Deutsche Bank data. While banks such as UBS, Citigroup, and Morgan Stanley may be in the eye of the storm (or further), Wells has just barely begun to feel the first sprinkles. In fact, Wells has recognized the looming issues and is attempting to front-run the problems by carving out some of the worst junk in its portfolio for liquidation. MortgageDaily reported back in November 2007 that the bank has started by moving $11.9B of third-party-originated second-lien (home equity) loans into a separate bundle, on which it planned to take (has taken?) a $1.4B charge. We see two problems with this strategy. The first is the assumption that the losses on these assets will only be around 10%. From what we’ve seen, these sorts of assets may fetch bids as low as ten cents on the dollar in today’s paranoid fixed income markets. But the paranoia is somewhat justified: against falling values, second liens are essentially worthless in a huge fraction of cases (especially recent vintage, which characterizes this special Wells portfolio). In other words, if you wanted to go with more of a “mark to market” impairment on this portfolio, the write-down would need to be more like $8.3-10.7B. The second problem is the assumption that the rest of Wells’ $141B hoard is pristine. But just because Wells originated these, doesn’t mean their underwriting was that much better (see below), or that borrowers aren’t facing tough circumstances as we enter a recession (with unemployment already rising), or that collateral values falling don’t hurt everyone. So there will be write-downs (and/or markedly higher loan loss reserves) on the other $130B or so of loans. Mark our words. Finally, the bank has the dubious honor of being the only lender sued by the city of Baltimore for reverse red-lining. And it is also a defendant in a similar suit by the city of Cleveland, along with 20 other banks and lenders. Should these municipalities win anything back, they will likely inspire countless imitators across the country, manifesting as significant “litigation impairments” on Wells’ balance sheet for years to come. But you won’t find this kind of risk accounted for in the current financials. Wells Fargo deserves everything that they get for making loans that borrowers were not qualified for. Borrowers could no more afford payments where they were currently not paying a monthly housing payments and going into payment shock… in this case does not matter what the proposed payment was… these borrowers had no history of making a housing payment so.. needless to say it is more than 100% payment shock. I venture to say that most of these people are either currently in foreclosure or pretty close to it or headed towards bankruptcy. Since most of these borrowers had a bad credit history or no credit history at all. They don’t or did not know what they were about to head into to. I’m surprised by the doom and gloom analysis given to Wells Fargo. WFC consistently performs well and Wells Fargo Bank is the only AAA rated bank in the US as of right now. Also remember that a bank must have write offs to be profitable. A bank that does not do riskier (and thus higher rate) loans will not have the returns expected by shareholders. It’s the balance between write-offs and performing assets that makes a bank successful in the long run. Warren Buffet seems to think that Wells Fargo is a good bet, and I’m willing to bet he’s been a bit more successful than most. write offs to be profitable. A bank that does not do riskier (and thus higher rate) loans will not have the returns expected by shareholders. It’s the balance between write-offs and performing assets that makes a bank successful in the long run. Warren Buffet seems to think that Wells Fargo is a good bet, and I’m willing to bet he’s been a bit more successful than most. They will pull through. The write offs are worth their weight in gold for them, and they seem to have the connections in Washington to ensure sweetheart deals and bailouts to keep them in business and profitable. My money is on growth not trouble. I have been a Wells Fargo client since 1993 and in 2006 my husband and I bought a house and Wells Fargo helped us out with the mortgage. Well, in 2008 I was in a car wreck, Hurricane Dolly did some damage, and last but not lease I lost my job. Wells Fargo Mortgage helped us through this tough time. We were on 150 day reprieve which helped tremendously but we asked for a Loan Modification that would lower our monthly bills or change our 15 yr fixed note to a 30 yr fixed note. We moved to Bethesda, MD because my husband got a transfer with his job. The cost of living here is very expensive compared to Texas, so we are paying $2000 in rent and our mortgage payment of $1445.56 and then utilities, water, and gas. At the end of the month we are left with $200.00 a month for a family of 5. Well, Wells Fargo Mortgage modified it 4 times but never to our request. Yesterday after our last attempt we were denied the modification that we requested. They modified it to where we are not able to make the payments and are forced to have our house foreclosed by Sept. 7th 2010. I thought to highly of them and now they are taking away the one piece of our livelihood away. I never thought in a million years that we would have no home to come back to after my husband has worked in MD for three years. I am grateful for one thing and that is my family being healthy. God knows what else is in store for us. I pray that I am able to find a job that will at least pay for food, clothing, and a good healthy lifestyle. Thank you for taking the time to read my comment. God Bless Us All. 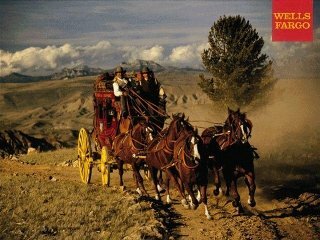 We have been Wells Fargo customers indirectly since 1965. We started out with United California bank and then First Interstate bank took over then Wells Fargo took over. We enjoy several perks with our account that you can’t get anymore. Free check, free overdraft protection, things like that. Every time we go into our bank, they try to pry that account away from us and change it to a new account. I ask them, why should I change? They can never give me a good answer. A few months ago, the bank manager tried to get me to change our account again. I told him I did not want to change the account and I was getting very tired of being harassed by him and his employees every time I come into the bank. Now, every time I come into the bank he sits at his desk and give me a dirty look. How professional of him. We recently bought a new vehicle and tried to get a loan from our bank. They screwed us around on the approval and offered us a ridiculous interest rate. (Our credit is golden.) The car dealer gave us a great interest rate and approved us in one hour. To hell with Wells Fargo. If this is how they treat their customers I hope they do crash. We don’t keep much money in there anyway. Just enough to keep the old account going. I love to go in there just to smile at the manager.